Throughout his long legal career, Norman D. Tripp has helped clients overcome challenges and take advantage of business opportunities. As a passionate advocate for higher education, Tripp is committed to opening doors for students seeking a better future. Tripp has also had a lasting impact on Florida’s colleges and universities, serving as a trustee for the University of Miami and board chair of Florida Atlantic University, and advisory board member of the Huizenga School of Business at Nova Southeastern University. Meanwhile, Tripp joined a new UM vocal music group, the Singing Hurricanes, organized by Glen Draper, former choral director of the U.S. Air Force. “There were 20 of us who took a summer tour to perform at air force and army bases in Europe,” Tripp says. When he came back, Tripp received a scholarship that enabled him to earn his bachelor’s degree in economics in 1962. “I can certainly say that going to college transformed my life,” says Tripp. Tripp moved to Fort Lauderdale and joined Watson Hubert and Davis, after at fellow UM fraternity member referred Tripp to his brother, who was a lawyer at the firm. “They gave me a great start,” Tripp says, noting that one his early clients was United Federal Savings and Loan. Meanwhile, Tripp began handling capital criminal cases on a part-time basis for Broward State Attorney Philip Shailer, the only full-time lawyer in the office. “I was making enough money that I was able to open my own office in 1969,” he says. Meanwhile, the Tripps adopted two children, Jennifer and Norman, and then had two of their own, Christine and Michael. “All our children grew up in Fort Lauderdale, where they enjoyed swimming and other sporting activities,” Tripp says, adding that daughter Christine Yates is now a probate lawyer with the firm. “We have eight grandchildren now, and they also enjoy sports,” he adds. With an office conveniently located on Sunrise Boulevard, Tripp found his practice growing rapidly. He joined the Kiwanis Club and became friends with several real estate developers and brokers. He helped contractor Howard Stiles with a 12,000-square-foot building, and his 23-year-old son, Terry, who took over the family construction company in 1971 after his father had a fatal heart attack. “This was actually the first building to get a certificate of occupancy in Terry’s long career in real estate,” Tripp says. Because Alamo was going head to head with national leaders Hertz, Avis and Budget, Tripp and the firm became involved in the political arena. State Sen. James Scott, who served for 24 years in Tallahassee, including a term as Senate president, became Tripps partner, as the firm continued to expand its government relations and regulatory practice areas. While building his practice, Tripp became active in Broward’s civic organizations, serving as chair of the Children’s Home Society and Visiting Nurse Association. He became a founding benefactor of the Community Foundation of Broward, and created the Tripp Fund for Educational Opportunity and the Tripp Scott Fund for Community Diversity. 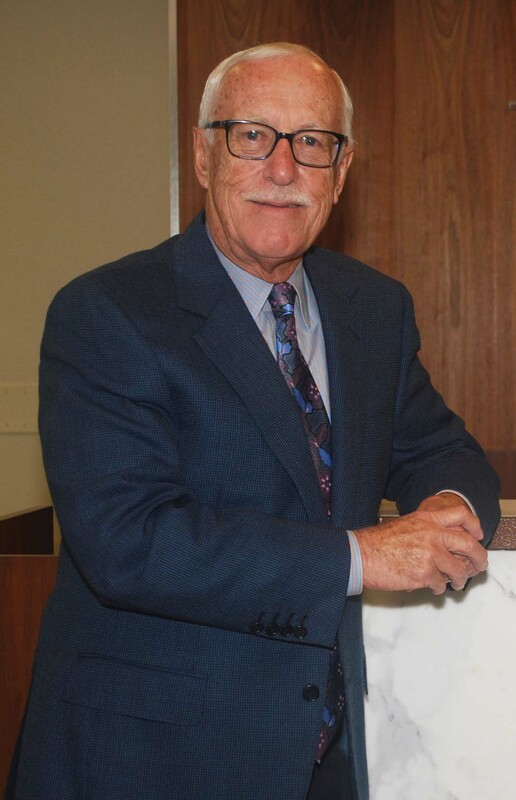 In 1998, he successfully spearheaded the citizens’ campaign for passage of the Broward County Public Library bond issue, and later received the Outstanding Citizens Award from the Florida Library Association. Other honors include being named Leadership Broward Inc.’s “Leader of the Year,” award and receiving the awarded Broward Economic Development Council’s Spirit of Broward Award for Overall Community Leader.